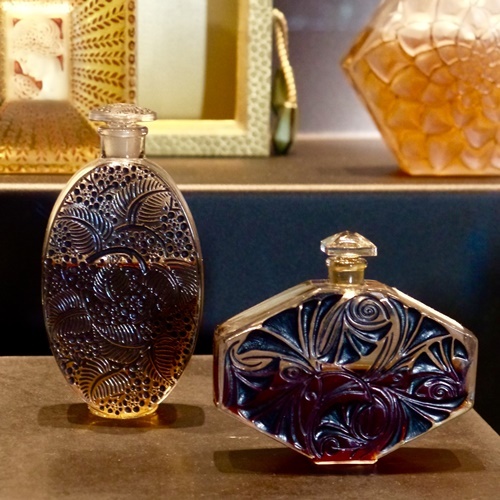 Andrea, a Bois de Jasmin reader, recently visited the Lalique museum in Alsace, France and sent me a few photos from her trip. 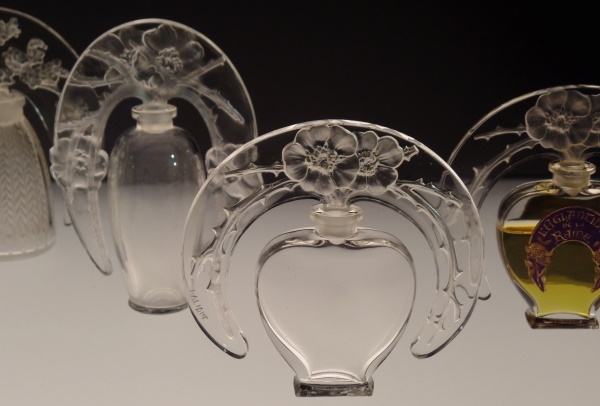 When François Coty made his famous statement, “Give a woman the best product you can make, present it in a perfect flacon with beautiful simplicity and impeccable taste, ask her to pay a reasonable price, and that will be the birth of a business such as the world has never seen,” Lalique flacon is what he meant. The idea was revolutionary, and together Coty and Lalique made history. And take a look at these stunning bottles! Don’t they themselves look like works of art? 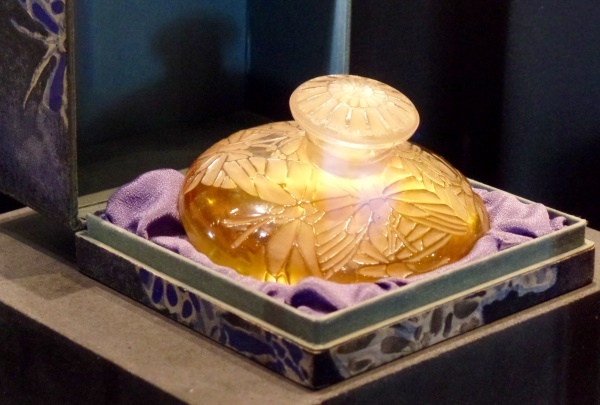 Andrea mentioned that at the museum you can see Lalique wares for all purposes, from sacred to profane–from liturgical objects to different types of decorations. There are perfume bottles and powder boxes, car trinkets and jewelry. You can also discover the interior design Lalique created for luxury liners and trains! If that were not enough, at the museum shop you can purchase Lalique perfumes, save for the Noir Premier Collection. 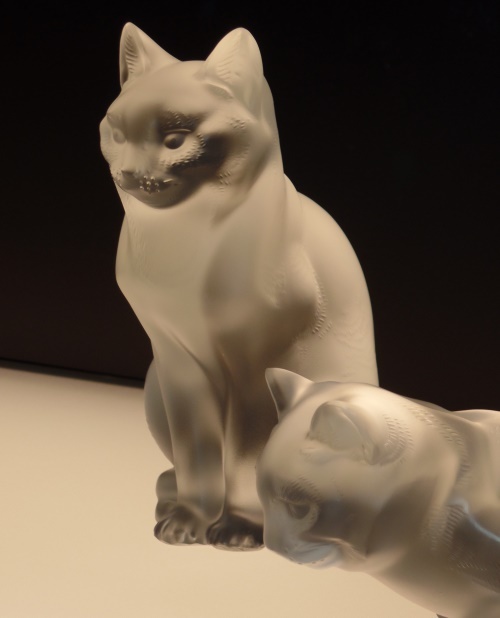 Lalique developed a complicated technique for creating textures on glass, and you can see the exquisite craftsmanship in these pieces. Finally, here is a photograph for the animal (read, cat) lovers out there. Photography by Andrea E. Thank you for sharing them with us. Michaela: Congratulations to Andrea for the stunning photos! They are the work of a professional. The bottles are beautiful and I think visiting the museum is a wonderful experience. I didn’t expect the cats, they are absolutely beautiful. Victoria: The photos are beautiful, aren’t they! Cornelia Blimber: Well done, Andrea! are you a professionel photograher? and thank you for sharing! Yes, Coty and Lalique were right ( and I love ”the reasonable price”). Although I really like Living Lalique, I bought it not only for the perfume, but also for the beautiful bottle. Andrea: I’m glad, you like the photos. Seeing them here on Bois de Jasmin made me hop around in the living room and go “yay” a lot. See, I’m no professional photographer. Diane: Believe it or not, we stayed at the hotel Villa Rene Lalique just two weeks ago (exquisite!) but because of timing, were not able to visit the museum. Anuschka: Wonderful photos! They look really professionell. My favorite is the first one and the one with the cats. Well done Andrea and thank you for sharing! And yes, Victoria, the bottles really look like works of art. Ariadne: Sumptuous photos and a very fun post! I am imagining the models for the cat statues might have been Russian Blues? The texture of the glass begs you to pet them. Lindaloo: Thank you, Andrea for the beautiful photos. The closest I have come to Lalique is a book of the gorgeous jewellery and glassware. Few perfume bottles, but all exceptional pieces including the car hood ornaments referred to as mascots. Andrea: Thank you, Victoria, for sharing my photos. It has been a new experience to me and it was such a pleasure, and an honour, too. Liliane: Hey everybody! 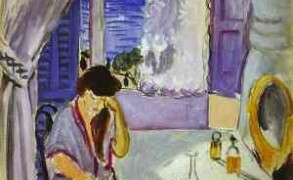 I did’nt know that museum Lalique in the Alsace. But in 2013 have I visit in Nice Lalique boutique. And that was also very beautiful. All those colors! And glass. Thank you for this information and fotos so beautiful. 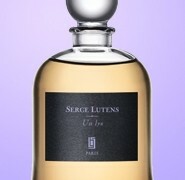 May I ask or there is yet news about the sents parfums in the Luberon? I will not miss all the news! Liliane: Thanks, it’s not urgent but I will follow it. That all.